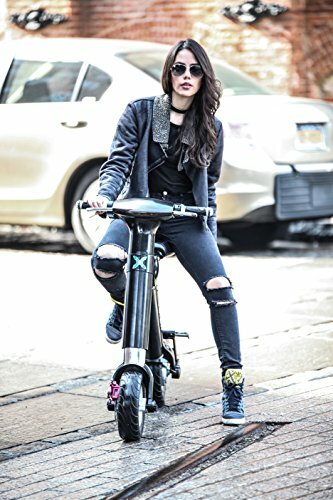 A folding electric bike, so lightweight and small that you can carry it on the subway or toss it in the trunk of your car, the Hover-1 xLS Folding Electric Scooter is a commuter’s dream vehicle. This little scooter travels quickly and quietly for up to 20 miles. Recharging can be done throughout the day, from any standard outlet. Save on gas, parking, and vehicle maintenance. 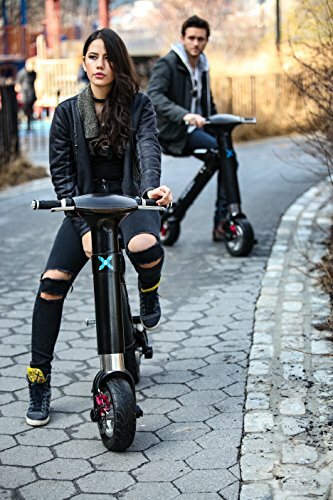 The Hover-1 xLS Folding Electric Scooter is made by Hype Wireless in Edison, N.J. 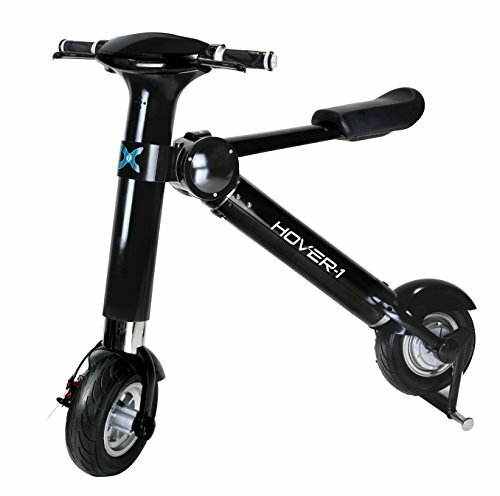 The Hover-1 xLS is a seated scooter powered by a rechargeable lithium ion battery. The bike is compact, yet robust enough to carry a large adult comfortably. This scooter has a powerful 250W brush less hub motor, allowing it to travel up to 20 mph on smooth, level surfaces. The scooter will travel up slight inclines, but the speed will lower and the battery will discharge faster if traveling on hills. The maximum incline recommended by the manufacturer is 15% or less. According to the company, the Hover-1 xLS is best used for smooth, flat surfaces such as sidewalks and asphalt. The foldable commuter will run for 20 miles before the lithium ion battery needs to be charged. Recharging is simple. Just open the charging port on the underside of the frame and attach the cable to the port and to any standard household outlet. Complete recharging takes about 6 hours, but the battery will last about an hour and a half at recommended speeds. This makes the Hover-1 xLS the perfect commuter vehicle. The xLS is made of high quality materials and assembled in the USA. The strong metal frame and 10 inch pneumatic rubber tires are made to handle full size riders, and the Hover-1 xLS can hold up to 285 pounds. The padded seat and built in shock absorbers provide a comfortable ride, even over sidewalk cracks and rough asphalt. The Hover-1 features all the latest technology and safety features. 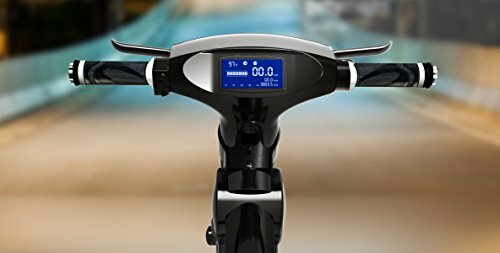 The center front display panel has a bright blue LED lighted display that shows the speed, battery life, and trip mileage. The display also shows an odometer and temperature display. The blue lights on the black panel are large and easy to read. A control panel next to the left handlebar has controls for the turn signals, horn, and front and rear lights. The scooter has a bright headlight, tail light, and turn signals for easy visibility. 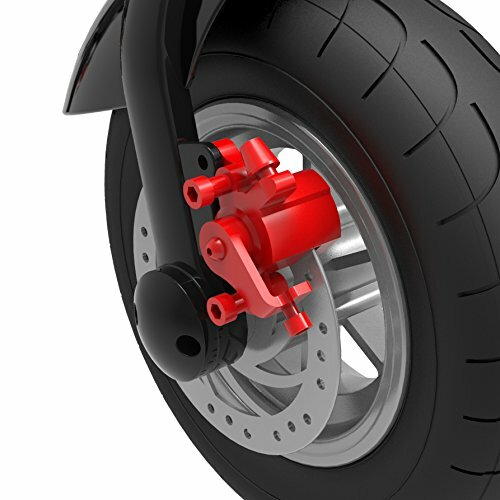 The right handlebar grip controls the twist type throttle control and a cable operated disc brake. The Hover-1 xLS also has a key switch ignition and anti theft alarm for maximum security. The Hover-1 xLS is foldable and compact for portability. 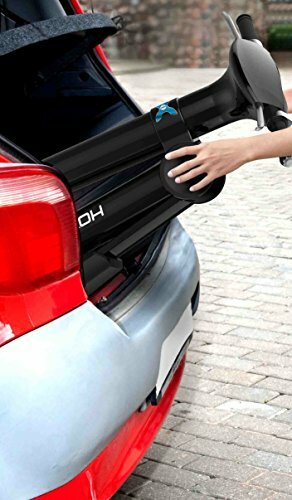 It easily fits in the trunk of a car. It can be stored in a closet or under the bed. Weighing just 50 pounds, the scooter is lightweight. It has a strong, metal frame and comfort features such as a padded seat, shock absorbers, and foot rests. The Hover-1 xLS arrives fully assembled. After charging the battery for six hours, you can begin riding. It is very easy to operate with the twist control throttle and hand operated brake. The 10 inch rubber tires carry you comfortably over sidewalk cracks and rough asphalt. A fully lighted LED display shows operating and riding information. The Hype Wireless company has a history of excellent accessibility and customer service. The lithium ion battery is safety tested and UL approved. It easily recharges using the included charging cable and any regular household outlet. Recharging time is quite long, but the battery life is also substantial. Because the product is fairly new, the price is high, and might be too much for some purchasers. The maximum speed is listed at 20 mph, but it seems that most riders are unable to achieve this speed unless traveling downhill. Dozens of reviewers have stated that the maximum attainable speed is actually around 15 mph. Likewise, the 22 mile travel distance stated my the manufacturer may have been an exaggeration. Many reviewers claim that the Hover-1 xLS will only go about 12 or 14 miles before the battery expires. Factors affecting the speed and range could be related to rider size and weight, though. One major downfall of the product is the fact that it is only recommended for smooth, flat, dry surfaces. The manufacturer goes so far to add a statement in the user manual that you should not ride on wet surfaces or through puddles. This could be a major problem if you rode to work in the sunshine, but it was raining when you got ready to go home. The Hover-1 xLS is a well made, compact folding bike capable of carrying a full sized adult up to 20 miles at 20 miles per hour. It features a strong, hub mounted motor and safe, rechargeable lithium ion battery. Safety features such as lights and turn signals make the scooter visible to other vehicles. 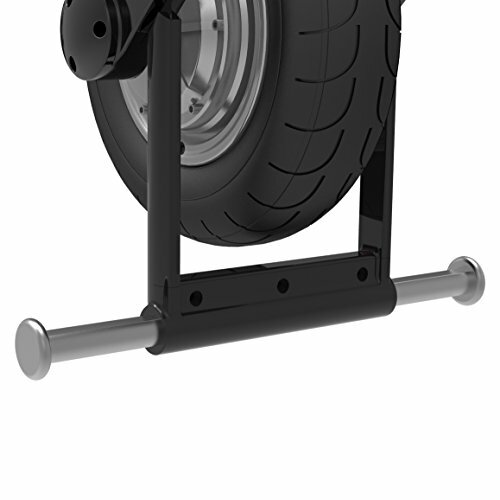 The durable metal frame and 10 inch rubber tires provide a sturdy foundation. A padded seat, foot rests, and shock absorbers add comfort. Although the price is a little steep, the Hover-1 is a nice electric scooter for an every day commute. Overall….I get 30 more minutes of sleep in the am and get home 45mins faster because I can catch an earlier train home. Time is money and this thing saves me on both fronts. + PROS: Small, compact folded or unfolded, no vehicle registration, final 1-2 miles from public transportation, saves time.